I am so SO INCREDIBLY EXTRAORDINARILY EXCITED for this interview, squidlings! 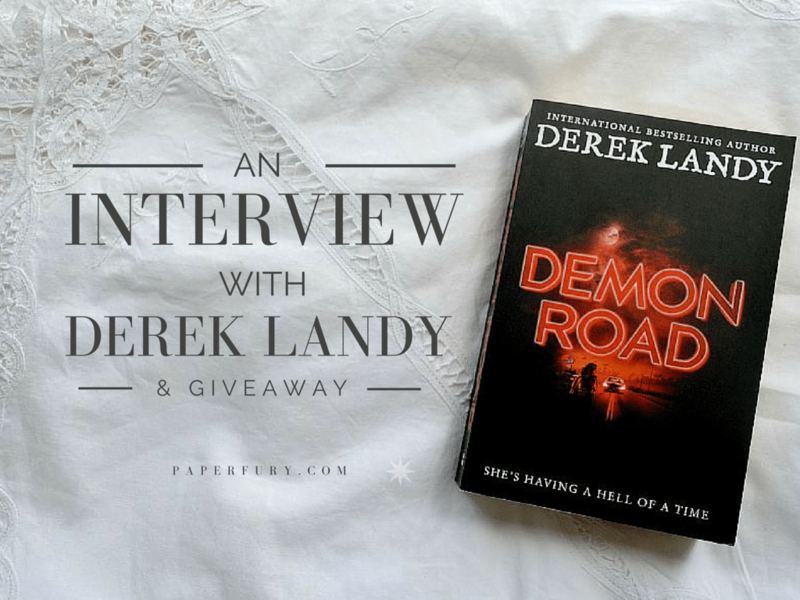 I’m absolutely thrilled to have a Q&A with Derek Landy, who is just — incredible. His Skulduggery Pleasant books are phenomenal (and hilarious) and his newest book, Demon Road, is the BEST thing of ever. 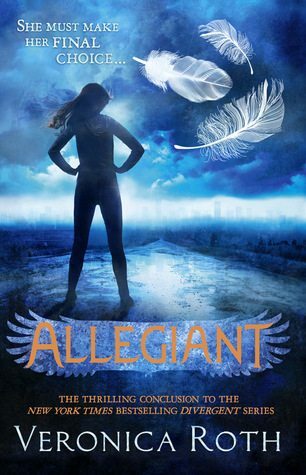 If you haven’t seen my 5-star flailing review, I don’t even know what you’re doing with your life. Go read it. Then go read the book. 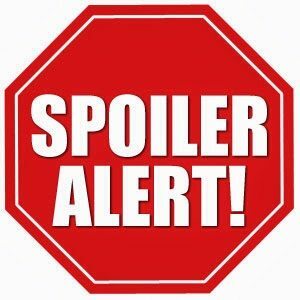 Actually, you should totally read this post AS WELL, because a) awesome interview coming up, and b) giveaway and c) you don’t ever want to miss a post from me because I, too, am fabulous. Derek Landy is far too modest to talk about any awards or accolades his books may have won. 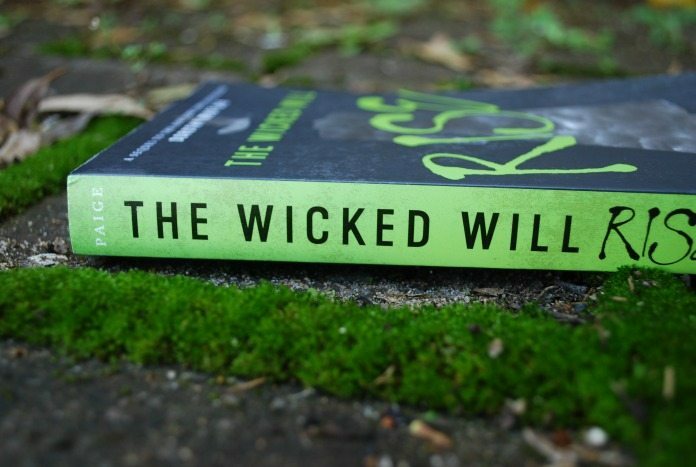 He will not, for instance, mention the fact that his first book, Skulduggery Pleasant, won the Red House Children’s Book Award, or that his second, Playing With Fire, won an Irish Book Award for Children’s Book of the Year, or that his third, The Faceless Ones, is his mother’s personal favourite. He lives in Ireland with a variety of cats, a German Shepherd, and two geriatric Staffordshire Bull Terriers who keep peeing on his kitchen floor because they think it’s funny. 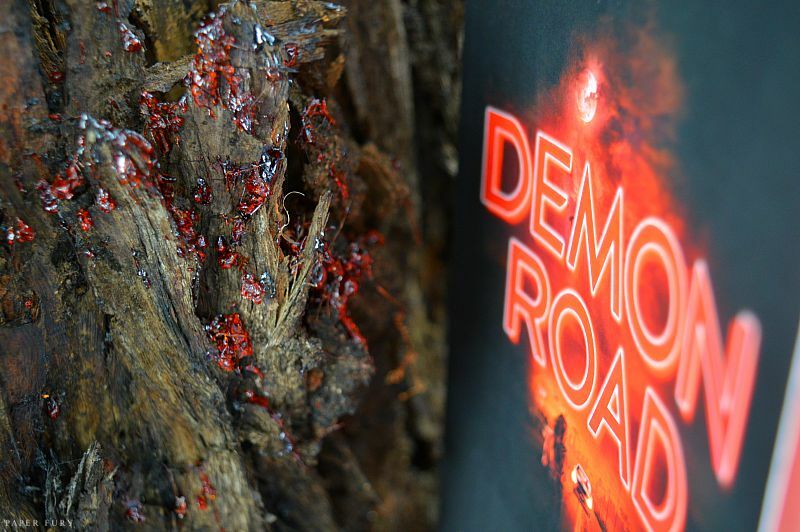 How long did it take Demon Road to change from inkling of first idea to published novel? And did it go through any ginormous changes? 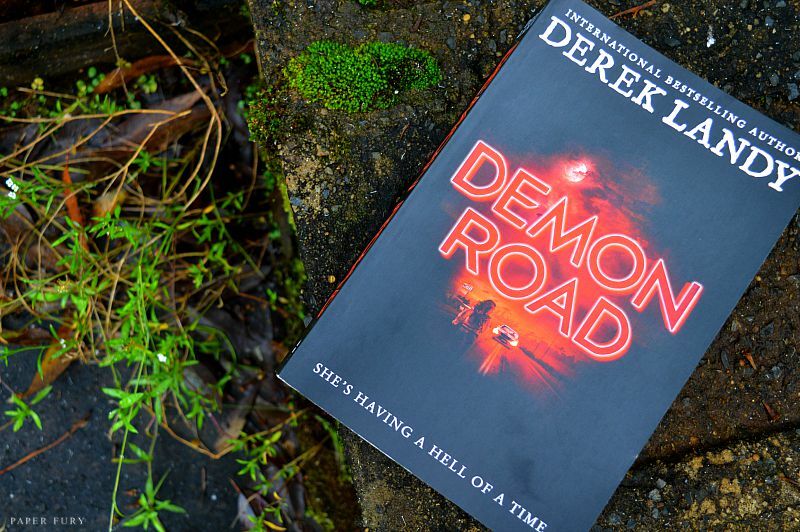 Since Demon Road features Amber on a monster-filled, parents-want-to-kill-her, horror, road trip — can you tell us how long you think you’d survive if you went along for the ride? DEREK: As a horror fan, I’ve thought about this kind of thing a LOT. I mean, who hasn’t estimated how long they’d survive a zombie apocalypse? Because Demon Road is a love letter to horror, and because it’s about horror, I reckon I’d survive for a fairly long time before being killed off in a suitably heroic fashion. Or possibly when I’m on the toilet. Y’know, whatever. I definitely estimate my zombie apocalypse survival all the time. I think I’d die in Demon Road though. Probably on page 2. RIP me. Which was your favourite creeptastic town and monster to write about? DEREK: I loved writing Dacre Shanks, my serial killer, as it allowed me to tap into the inherent creepiness found in all good doll houses. I can never look at dollhouses the same way. NOBODY GO NEAR A DOLLHOUSE EVER. Ahem. Your witty banter is absolutely hysterically good (obviously your characters are heavily influenced by your own fabulousness) but whose banter did you enjoy writing the most? DEREK: Glen was the most fun. Originally he wasn’t going to be in the book at all, but I quickly realized that my two main characters were pretty private, taciturn people, and they needed someone chatty to bring them out of their shells. Glen provided me the opportunity to do this, and to indulge in my favourite pastime — writing long passages consisting almost entirely of punchlines…! Thank goodness Glen exists. HE IS THE BEST. What’s the best writing advice you’ve ever received? DEREK: Write what you know. At the time I thought it was terrible advice, and so very limiting. But I’ve since decided that it doesn’t mean you can only write about people just like you. You can write about anyone, anywhere, doing anything, and as long as you pepper the story with genuine slices of honesty then you’ll connect with the reader. Oh wow, I never thought of that advice like that. I LOVE IT. And lastly! Has any chocolate been harmed in the making of your books? DEREK: No chocolate was harmed. Wine Gums, however, were ruthlessly devoured. Thanks so much for the Q&A, Derek! It’s been a blast and I’m so so gargantuanly excited that I got to interview you! THANK YOU SO MUCH TO HARPER COLLINS AUS FOR COORDINATING THIS INTERVIEW! 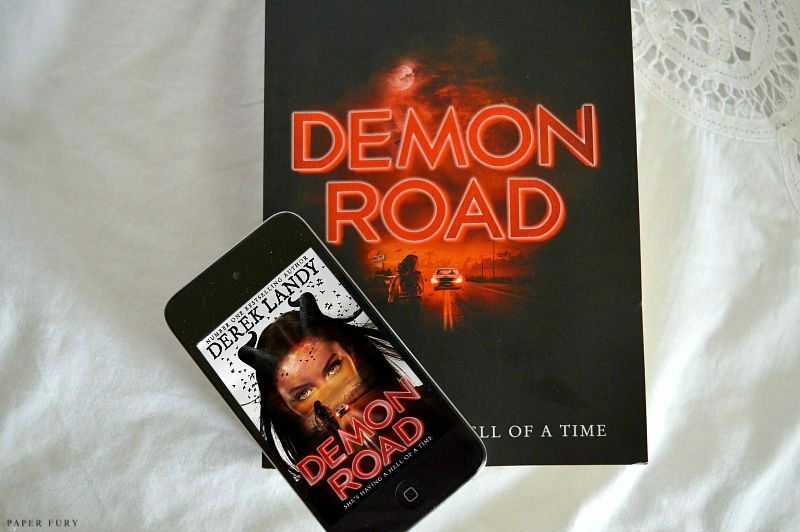 Full of Landy’s trademark wit, action and razor-sharp dialogue, DEMON ROAD kicks off with a shocking opener and never lets up the pace in an epic road-trip across the supernatural landscape of America. Killer cars, vampires, undead serial killers: they’re all here. And the demons? Well, that’s where Amber comes in… Sixteen years old, smart and spirited, she’s just a normal American teenager until the lies are torn away and the demons reveal themselves. Goodreads Purchase Publisher My 5-Star Review! Will be sent directly from Harper Collins! 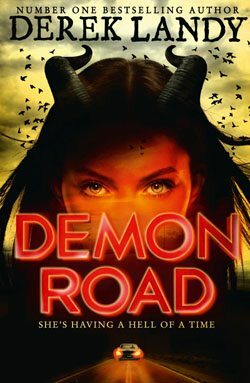 Demon Road by Derek Landy // marvellously creepy! Okay, so, um, WOW. HOW DO I TALK ABOUT THIS INCREDIBLE BOOK?!! 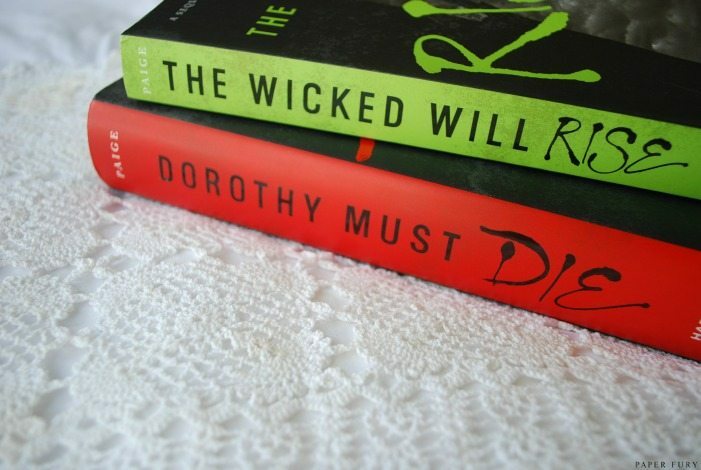 I love Derek Landy, I totally do (although I admit to being a wimp and haven’t finished the last few Skulduggery Pleasant books because paaaaain) and everything that makes Derek Landy a phenomenal author was in Demon Road in abundance. It was Landyish brilliance. I AM SO HAPPY. fast moving wickedly captivating action scenes. Plus you know the TV show, Supernatural? That I am a massive and wild and unabashed fan of? WELL. This totally reminded me of it! OH OH. DID I MENTION THERE IS A FREAKISHLY AWESOME CAR? Like really awesome. It even eats people. So much love for the car. I really only have TWO negatives. Because I am a picky prune. It was too long. Maybe this is just me? But they went on so many unnecessary detours and I just wanted to get to the point! I swear this is tree sap and I didn’t murder anyone for the photo opportunity. TALK ABOUT ALL THE AMAZINGNESS. OKAY? OKAY!! So firstly, the premise is epic. Amber is forced on a roadtrip because her parents are trying to kill her. (Family. They love ya, but they also want to eat ya.) Turns out they’re demons and she’s a demon — although excuse the cliche of hey-darl-you’re-sixteen-and-now-a-demon! It kinda shakes things up with her parents wanting to, um, eat her. SO! That’s exciting! Amber goes on the run with Milo (he’s in his 40s) and they’re going to track down a dude to offer up to the Big Evil Father Demon in order to get Amber’s parents to desist in trying to eat/kill her. Along the way they pick up Glen, who is an idiot, and almost always nearly dying. He’s adorable. But such an idiot. 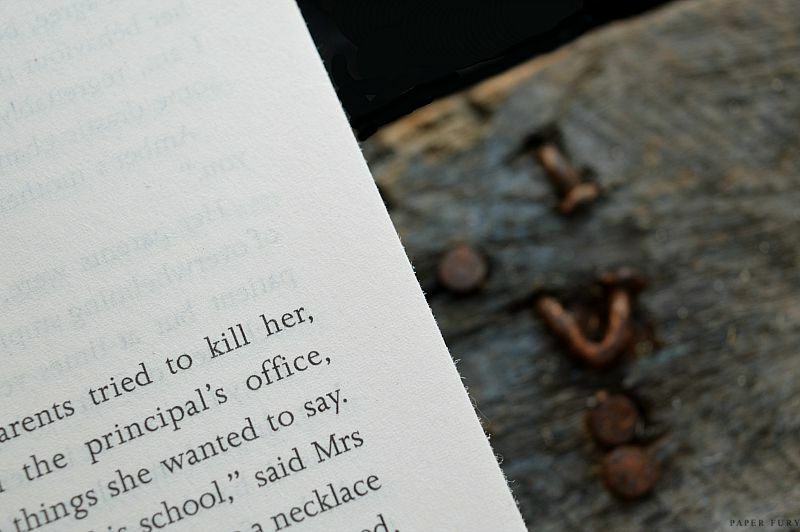 And while I’m nattering on about characters, let’s just have a bit more details, right?! Because good characters are the best. AMBER: OH AMBER AMBER HOW I LOVE AMBER. 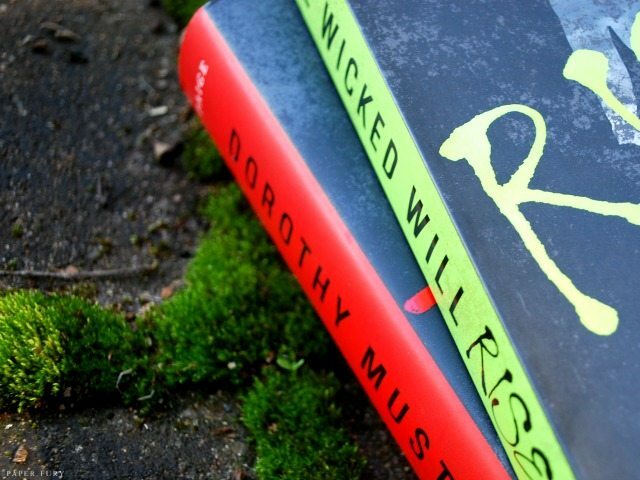 She’s not your “typical” YA heroine. She’s not skinny and she’s and awkward and makes bad decisions and occasionally kills people. She lurks in a SUPER GREY AREA. I love this. I love how she’s fighting for her life and worried about killing people (well, monsters, none of them are really “people”). But she never collapses in a whingey pile. SHE DEALS. She’s sassy. She blabbers. She’s absolutely endearing. She doesn’t need to be rescued. OH. And she can shift into this skin that’s red and she has horns and razor claws and — yeah. Stuff goes down. MILO: AH. I love Milo also. LIKE A LOT. He’s protective and he has a LOT of secrets and he’s super nice. It could be weird and kinda creepy for a 16 year old girl and a 40 year old dude to go on a roadtrip? BUT IT’S NOT. GLEN: Omg, he’s such an idiot. Glen is like background noise. He’s always flapping about breaking things and trying to “fit in” and has the attention span of a gnat. He worms his way into Amber and Milo’s hearts/lives, but they both kind of just put up with him. Like a flea-bitten puppy that just won’t go home, you know? “I…I don’t know if I’m up to this,” said Glen. There sooo much sass and action and it’s just MIND BLOWINGLY GOOD. Like I didn’t ever want to put it down. They meet tons of weird creatures and they stab all the things and it totally resides in one big grey area. Or black area?? Like we have killers being good, and we have good people being killers. Can you kill monsters without becoming one? And Amber does A BIG BAD THING at the end that totally shocked me, because YA usually plays it so safe. So rest assured: THIS BOOK DOESN’T DALLY IN THE SAFE AREAS. I love that! I love the questions and the humour and the creepiness. 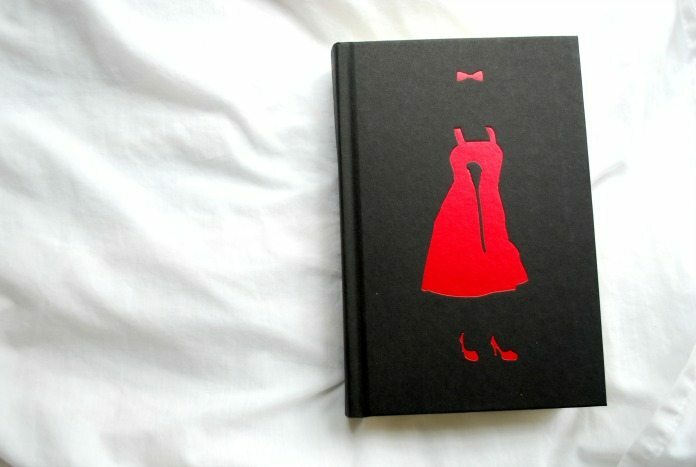 I literally have nothing to say but: GET READY TO READ THE BEST BOOK EVER. 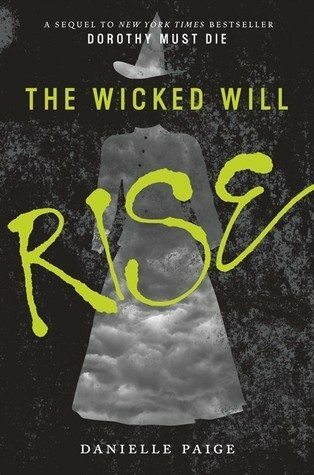 I’m pretty sure Derek Landy cannot disappoint. THANK YOU HARPERCOLLINS FOR THE ARC. 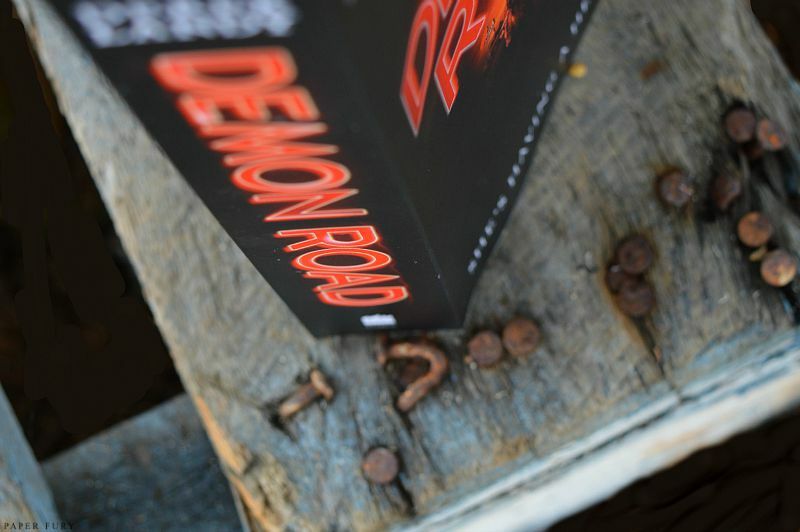 Demon Road by Derek Landy is published on August 27th, 2015. OH! And, because HarperCollins is UTTERLY AMAZING — I’ll be interviewing Derek Landy sometime soon accompanied with an epic giveaway and just general awesomeness! Look out for it! so! 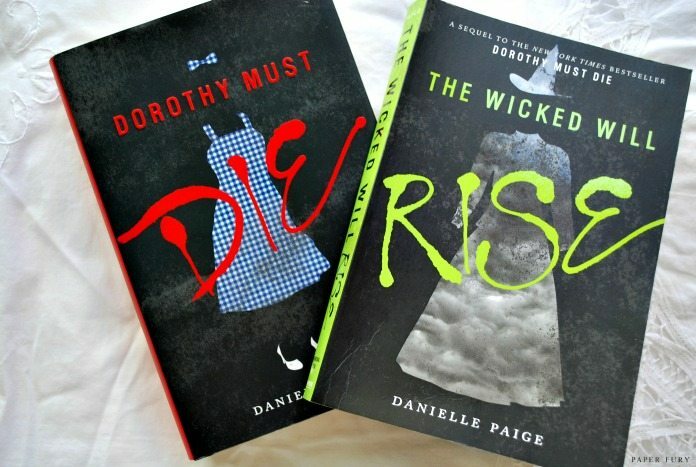 do you like creepy books?! 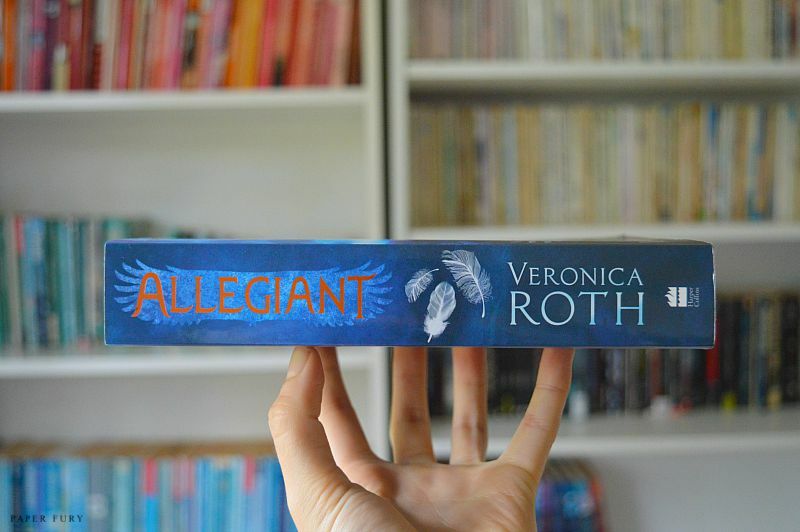 (spoiler: I LOVE THEM) and what’s a book that reminds you of a movie or tv show?! TELL ME ALL IN THE COMMENTS! OH and have you ever read a Derek Landy book?! because you should. read all of them. now. go. Challenger Deep // this book is extraordinary. real or not real? This book is a blue puzzle pice of emotional genius. I am affected. At first I felt like I was sliding headfirst and upside down a water slide of skittles. The prose was…woah. Like Alice in Wonderland. This is the kind of story that gets lodged in your throat until you either shout or wail about its marvellousness. It’s about living with mental illness. 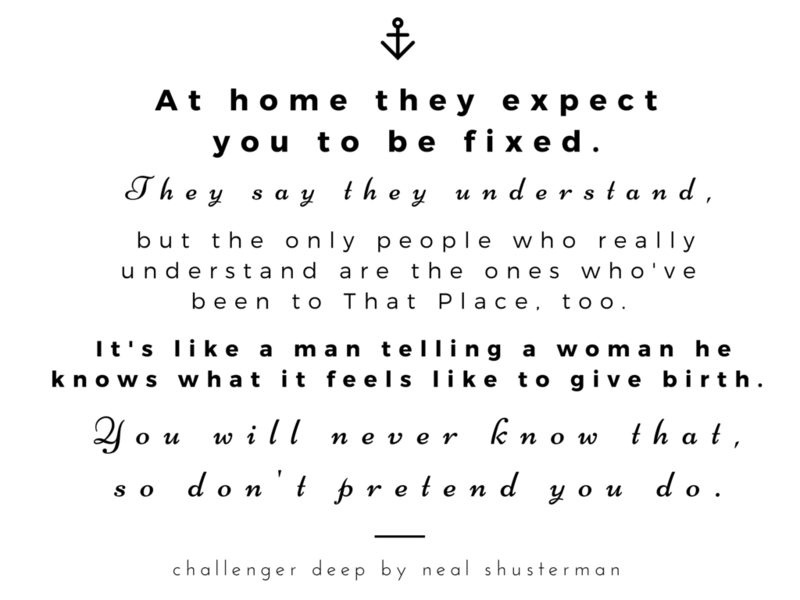 I’ve read books about schizophrenia before, but Challenger Deep is pretty much incomparable. The protagonist, Caden, is hospitalised for most of the book, but we spend so much time in his delusions. Probably more in his delusions than in “real life”. I did appreciate that the book was NOT about labels and boxes. So often I think diagnosis don’t fit in-real-life like they do in books…so this made the book even more real. It took me on a very real roller coaster ride through medication and therapy and the pits of despair and recovery and how mental illness is something you manage, not cure. There is no and-then-boy-met-girl-and-all-his-troubles-ceased! No. THANK GOODNESS. Challenger Deep wins the world. This is a very personal book too, and you can totally feel that while reading. You HAVE to read the author’s note. He quotes that 1 in 3 people suffer from mental illness, and most of the experiences in this book come from his own personal family life, particularly his son. (His son did the artwork for the book, pictured above.) Imagine putting so MUCH of yourself and your family in a book?!! It’s incredibly brave. And I think it makes a huge difference. 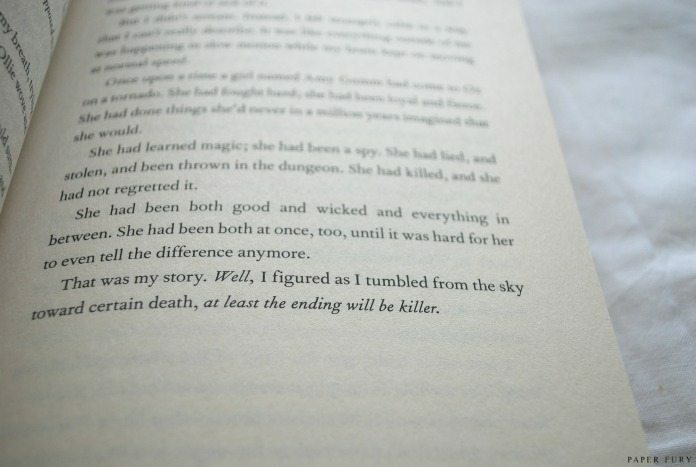 I just felt so connected to the book the whole time. It’s literally extraordinary. 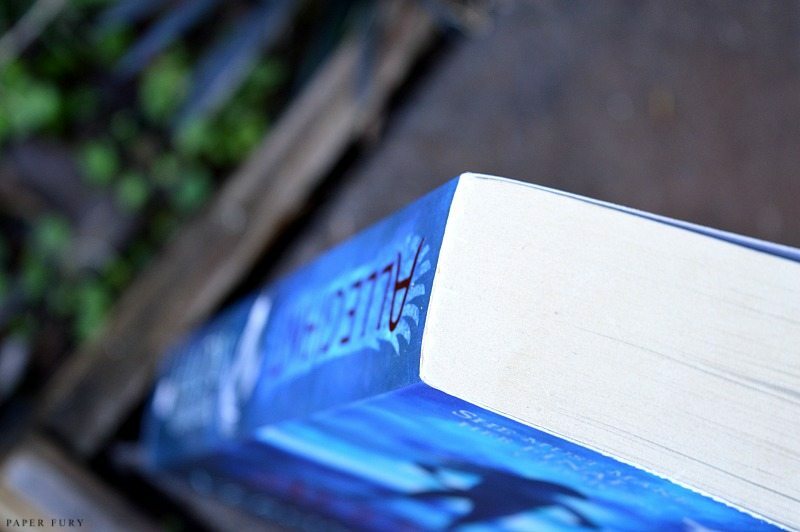 Okay, but just so you know before you go in: half the book is imaginary and half is actual life. I confess! I was more interested in the actual real life parts. But I assume, often, it was a parallel. I personally didn’t always make the connections but sometimes I DID. I also love how, subtly, towards the end, the imaginary chapters were leaking into the real-life ones. It was so seamless and sort of terrifying. I had a rocky start with the beginning because NOTHING made sense. But either I got used to it, or it smoothed out, but either way, the writing is flawless. It’s delusional. It explains and makes you experience the fear and horror of being caught in delusions and knowing it’s not real, but having to believe it anyway. Also, Caden’s family just are great. While Caden’s losing himself in the delusions, they’re there for him. CAN I JUST SAY, THANK YOU? It’s so uplifting and hopeful. So basically? I LOVE THIS STORY. It’s scary and sad and real and confusing — which sums up what it’s like to be mentally ill. It has incredible parallels and the writing is just everything. It explains Caden’s point-of-view with such detail that I really think anyone would empathises with his condition. I’m pretty sure that’s my heart drowning in a puddle over there. S’OKAY. I’M OKAY. This is easily an extraordinary book. HOLD ME, I’M HAVING AN EMOTION. Thank you HarperCollins for the ARC! Challenger Deep by Neal Shusterman was published April, 2015. Caden Bosch is designated the ship’s artist in residence, to document the journey with images. A captivating and powerful novel that lingers long beyond the last page, Challenger Deep is a heartfelt tour de force by one of today’s most admired writers for teens.